There is a real sense that this month’s human vs. AI Go match marks a turning point. Go has long been held up as requiring levels of human intuition and pattern recognition that should be beyond the powers of number-crunching computers. AlphaGo’s win over one of the world’s best players has reignited fears over the pervasive application of deep learning and AI in our future—fears famously expressed by Elon Musk as “our greatest existential threat”. 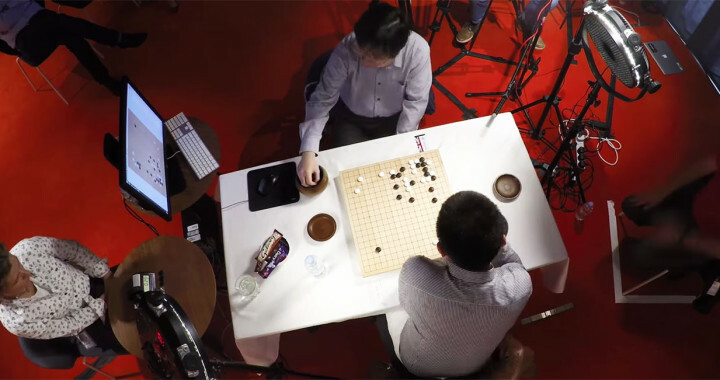 In the second game between Lee Se-Dol and AlphaGo, the AI made a move so surprising – “not a human move” in the words of a commentator—that Lee Se-Dol had to leave the room for 15 minutes to recover his composure. Until we see an AI do the utterly unexpected, we do not even realise that we had a limited view of the possibilities. AIs move effortlessly beyond the limits of human imagination. How do you prevent an AI from using such methods when you do not actually know what its methods are? Especially when the method it is using, while unethical, may be undiscovered by human traders – literally, unknown to humankind? It is farcical to think that we will be able to predict or manage the worst-case behaviour of AIs when we cannot actually imagine their probable behaviour. Playing chess and Go? Maybe. Trading on the stock market? Well, one Swiss study found stock market traders display similarities to certified psychopaths, although that is not supposed to be a good thing.